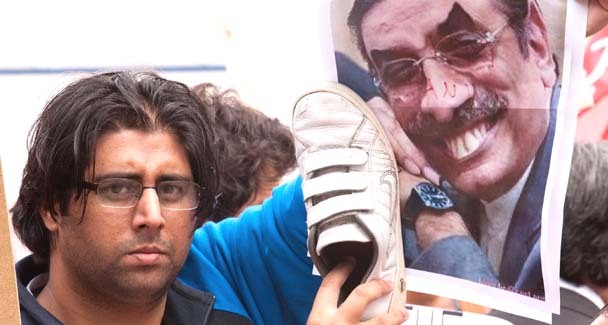 BIRMINGHAM, England — A protestor threw a shoe at President Zardari in protest at his decision to visit UK despite PM Cameron’s insulting comments and the floods crisis in Pakistan. More information to follow on this, including video. Pakistani President Asif Ali Zardari was to attend a rally here Saturday as protesters demonstrated against his presence in Britain during the flooding disaster back home. Zardari was due to speak at a political event in Birmingham, central England, for Pakistan Peoples Party (PPP) members and leading figures in the Pakistani community in Britain. Hundreds of demonstrators from various standpoints gathered outside the International Convention Centre venue in Britain’s second city, chanting and waving placards. It comes the day after Zardari held talks with British Prime Minister David Cameron, when the pair agreed to step up their anti-terror cooperation following Cameron’s controversial claims about Pakistani attitudes towards terrorism. 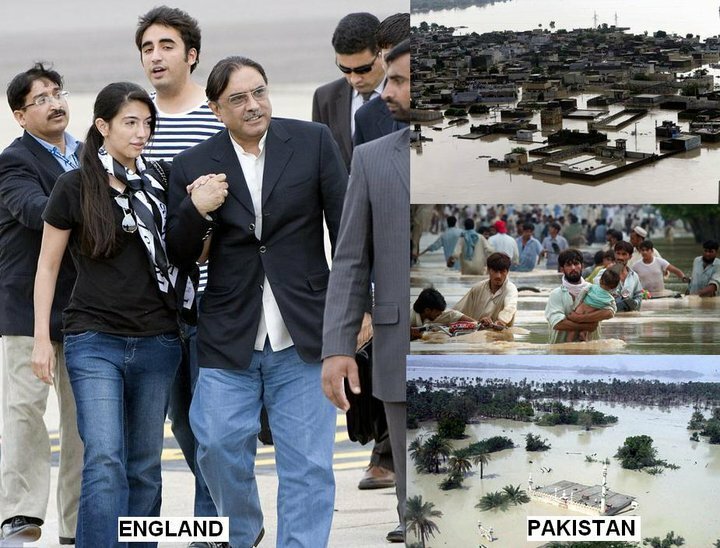 With the flooding disaster affecting up to 15 million people in Pakistan, Zardari has come under fire from some quarters in Pakistan and Britain for continuing with his trip to Europe during the crisis. 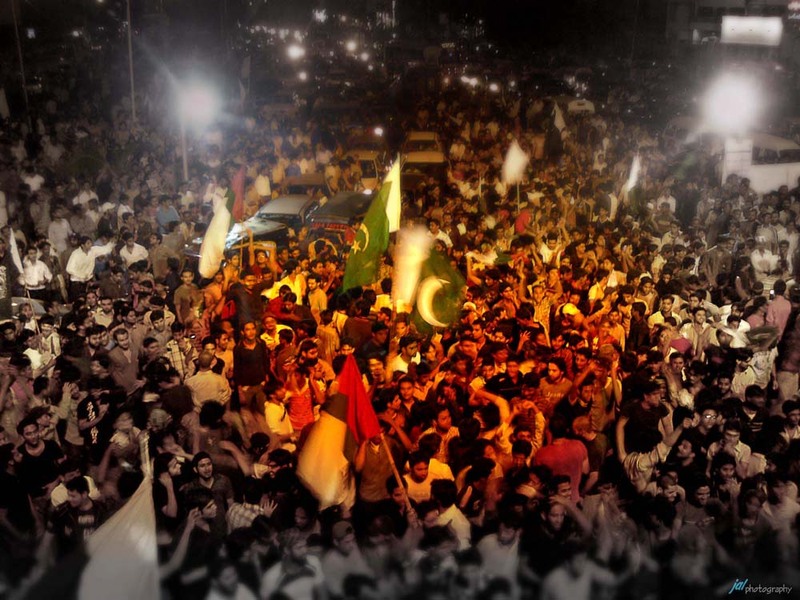 Some demonstrators held up shoes to pictures of Zardari, while others held placards reading “1000s dying, president is holidaying”, “Thousands killed, millions homeless, what president is laughing for?” and “Are the Zardaris enjoying England while Pakistan drowns?”. 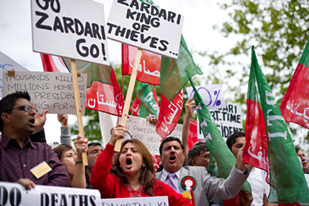 Mohammed Khalil, a local official from the Tehreek-e-Insaf party headed by former Pakistan cricket captain Imran Khan, was among those protesting against Zardari. “His own people are dying for food, there’s calamity there,” he told. “He should be there organising for his own people. Instead he’s here with so many people. The government is paying all the expense for that. That money should be spent on the people of Pakistan, not on himself.”Taji Mustafa, from the Hizb-ut-Tahrir organisation, said Pakistanis were outraged. “There is no self-respecting leader in the world who in this time of dire national crisis, while people are drowning, he is drowning in enjoyment, he is drowning having lavish dinners in the company of his die-hard supporters,” he said. The PPP is co-chaired by Zardari and his son Bilawal Bhutto Zardari. A PPP spokesman had said Bhutto Zardari would attend the Birmingham event and might speak at it but the 21-year-old on Saturday denied the rally was meant to launch his political career as he opened a donation point at the Pakistani High Commission in London. 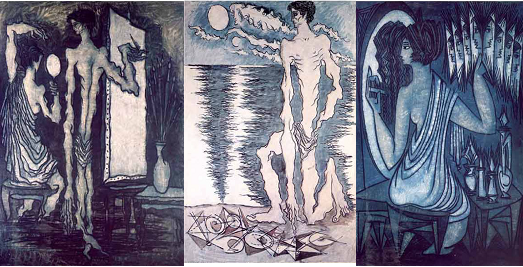 The Oxford University history graduate vehemently defended his father’s visit to Europe. “He’s doing the best he can and what he thinks is best to help the people of Pakistan” he said. 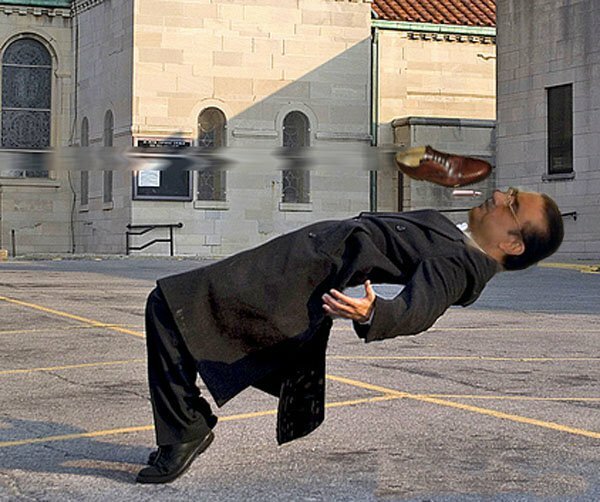 One protestor threw a shoe at President Zardari during his address to the conventionin in protest at his decision to visit UK, despite PM Cameron’s insulting comments and the floods crisis in Pakistan. 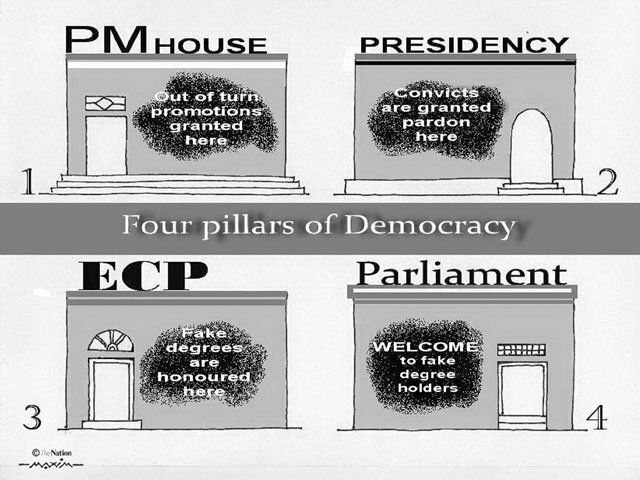 Today’s Cartoon:- 4 pillars of democracy! For a few hundred dollars, low-paid border guards are allowing entry into Pakistan to spies and agents of multiple foreign intelligence agencies operating in Afghanistan. 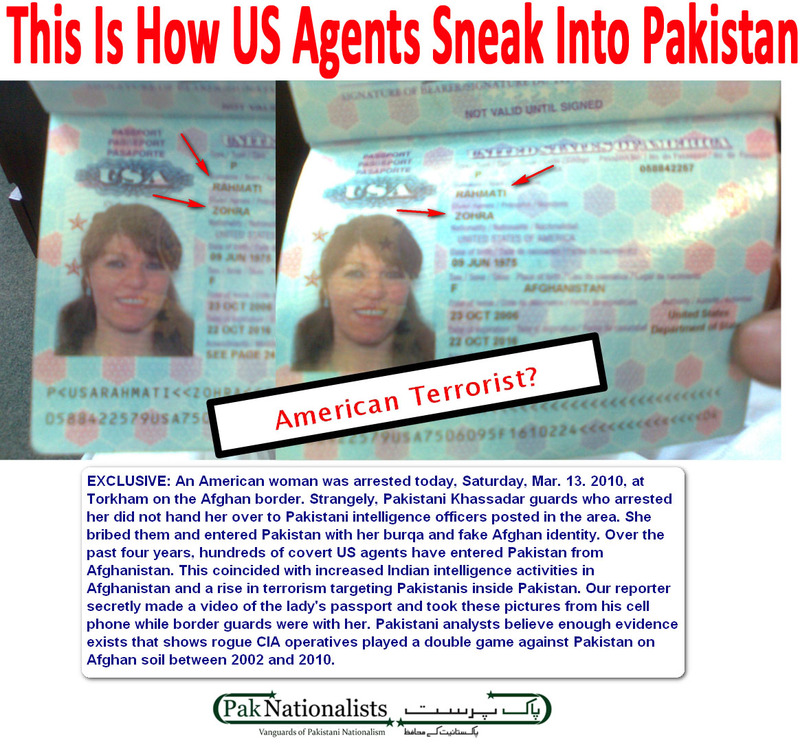 In this story and video, see how a US lady entered Pakistan through Torkham on Saturday, Mar. 13, 2010, without visa and without the knowledge of Pakistani intelligence officers posted there. This happens in a country that faces terrorism exported by both US-controlled Afghanistan and its Indian ally. TORKHAM, Pakistan—Rampant corruption and a weak Pakistani state are helping the entry into Pakistan of spies and terrorists from multiple foreign intelligence agencies operating in Afghanistan. Almost all terror in Pakistan is coming from Afghanistan. This American woman tried to sneak into Pakistan through Torkham on Afghan border today, Saturday, Mar. 13, 2010, around early afternoon. She was wearing an Afghan woman’s burqa and apparently spoke local dialects. She would have successfully crossed into Pakistan safely hidden among a group of Afghan women but something about her demeanor raised the suspicion of a Pakistani border guard. However, the border guards, known as Khasadars, made sure that Pakistani intelligence officers posted in the area are not told about this arrest. Torkham is considered a hot station within Kasadar tribal force circles. With salaries that go less than PKR 10,000 per month [less than US$ 130], major checkpoints such as Torkham provide an extra source of income for the Khasadars through bribes from travelers. 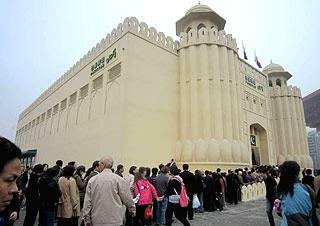 The guards kept the woman in a room for about thirty minutes and then let her enter Pakistan in her burqa. She paid the Khasadar guards a handsome amount of money as bribe. 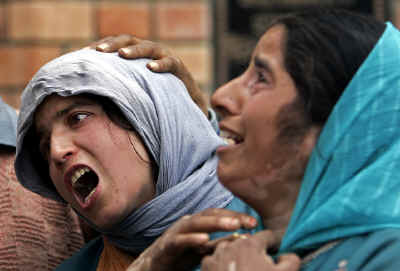 According a source in the Khasadar Force who witnessed the whole thing, the woman didn’t panic. She appeared composed and familiar with the ways of the border guards. She knew what to do in such a situation. Thanks to my contacts in the border force, I was able to make a cell phone video of her passport while the Khasadar chief at the checkpoint talked to her. Her name on the passport was Zohra Rehmati, which makes her an American from either Iranian or Tajik-Afghan extract. Over the past four years, a large number of US agents have entered Pakistan through Afghanistan. Several have been arrested in different parts of the country disguised as Afghan men, complete with beards and Turbans and fluent in Pashto, Dari and Urdu. Unfortunately, much of this covert American activity was sanctioned first by the Musharraf government and now by the pro-US Zardari-Haqqani combine in the incumbent government. Private contractors help give CIA the benefit of deniability if an agent is arrested on foreign territory. CIA has been known to send US citizens of foreign descent to their home countries for espionage. The most recent example is Roxana Saberi, an Iranian-American who was busted in Tehran carrying sensitive documents handed to her by an informant. Ms. Saberi was sent to Iran posing as a journalist. CIA even managed to get her newspaper accreditation from a major American newspaper. The US government was embarrassed at the arrest because Ms. Saberi was arrested red handed receiving official documents from a contact. In Pakistan, a State that is falling apart at the seams, with no central figure or department to control the rot, is providing the perfect environment for meddling in the country not only by the United States, UK, India and other established powers based in Afghanistan, but also by a puppet regime like that of Mr. Hamid Karzai and his spymasters, who in eight years are in a good position today to wreak mayhem inside Pakistan while the politicians in Islamabad and the military in Rawaplpindi have little recourse beyond words of appeasement or caution during closed-door meetings with foreign powers in Afghanistan that are never translated into action to reestablish Pakistan’s writ domestically and in the region. Mr. Shah is an independent journalist based in Peshawar. President Obama has called a Nuclear Security Summit in Washington in April (12-13) this year and more than 40 heads of state are expected to attend. This is a follow-on from Obama’s Prague speech of April 5 in which he outlined his arms control and nuclear nonproliferation objectives with nuclear terrorism topping the list. Now there is a growing lobby within Washington that sees Obama’s nuclear arms reduction and disarmament pledges as threatening to US long-term interests; and so far Obama has not managed to move substanti-vely on his commitments in this field – as has been the story with him since he began functioning as the US president. In fact, so far his foreign policy in actual actions has not strayed too far from that of his predecessor. Be that as it may, since the Pakistani president will also be present at this Summit, the country needs to evolve a policy on nuclear security that ensures Pakistan’s interests for the future. One does not expect President Zardari to actually take a strong nationalist position against the Western tide at the Summit, but we can at least highlight what does need to be done and live in hope. A beginning needs to be made by preparing our interpretations of the four main points of the Obama nonproliferation objectives. The environment envisaged is not a UN-type international framework for nuclear security but a US-led framework, with the US firmly in the driving seat. 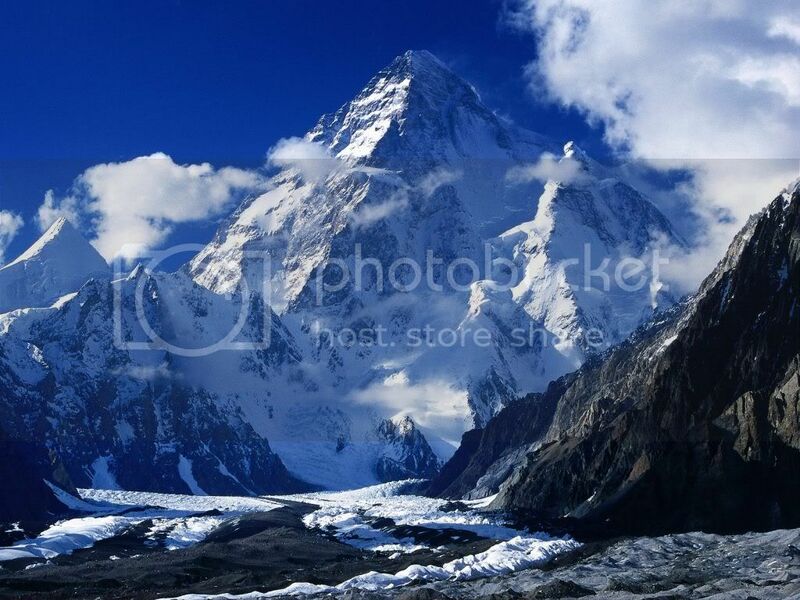 So, the first thing Pakistan needs to build support for the view that any such framework must be within a UN framework and support for this view can be built amongst the developing states, who are critical to the success of this Summit. Then Obama is seeking, according to his Prague speech, new partnerships and new standards to protect sensitive nuclear materials. Well, if Obama is really committed to this objective, the first thing he needs to do is to move out of the nuclear deal with India – the 123 Agreement – since that widens the scope for diversion of nuclear materials for weapons purposes, given the lose safeguards agreements and the freeing of Indian fissile material for the production of more nukes. So far the US has set regressive standards for nuclear material safety through this deal with India and through its continuing proliferation to Israel – so let the US move towards setting new standards that truly ensure nonproliferation. Many states will be prepared to enter into nondiscriminatory partnerships with the US on this count. Obama also wants to convert coalitions of the willing effectively into international institutions – such as the Proliferation Security Initiative (PSI) and the Global Effort to Combat Nuclear Terrorism. PSI should certainly be open to all states but for Pakistan it is essential to ensure that this does not contravene the Law of the Sea agreements. As for the Global Effort to Combat Nuclear Terrorism, there are already international treaties that exist like the Physical Protection of Nuclear Material Treaty. Why not simply stren-gthen these? Also, the Non Proliferation Treaty (NPT) Review Conference is coming up in May and it is time the NPT was brought in line with the prevailing ground realities where two overt nuclear weapon states are not accommodated as such within the Treaty.